Made from Billet Aluminium. In New Condition. BMW 3 SERIES E46 M3 Convertible, M3 Coupé. Ref Number 5743869. This will fit the Punto or 500 Abarth. We are a main dealer for our franchised vehicles. PEUGEOT CITROEN 1.6HDI 2.0HDI ENGINE OIL FILLER CAP 1180F9 Fits Certain Models . PEUGEOT MINI CITROEN 1.6HDI 2.0HDI ENGINE OIL FILLER CAP 1180F9 Fits Certain Models . ONE ENGINE OIL FILLER CAP. YOU MAY ALSO GET THE ORIGINAL NUMBER FROM THE DEALER AND COMPARE IT TO OUR PART NUMBER. 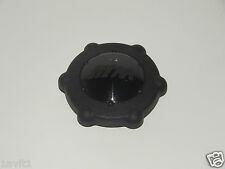 Alfa Romeo GTV Spider 166 156 V6 Busso Original Bayonet Oil Cap. Condition is New, Brand New & Sealed in plastic wrap / cardboard as manufactured. Dispatched with eBay delivery – Shutl 2-3 days. VW Golf MK3 VR6 GTI R8 Oil Cap. Audi R8 Oil Cap, A Nice Styling Upgrade. VW Parts International. Of course it could be cancelled if after the conversation, it turns out not to be a suitable part/product for you. 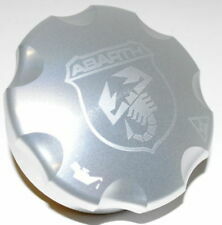 INCLUDES ALUMINIUM FUEL CAP AND OIL CAP BOTH WITH ABARTH LOGO. GENUINE ABARTH ACCESSORY KIT. 1x new engine oil filler cap and seal. oe number 60606238. 2000 to 2010. 1.6 16V Twin Spark. 2.0 16V Twin Spark. 916 series model. 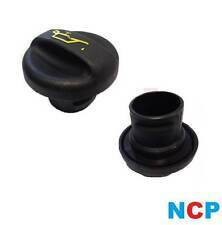 VW Golf MK4 MK5 MK6 GTI R R32 Scirocco Engine Oil Filler Cap Plug. VW Parts International. Includes 1 Oil Cap. Part Number 06B 103 485C. Get news of New Parts to your inbox |. Of course it could be cancelled if after the conversation, it turns out not to be a suitable part/product for you. GT MG SPARES LTD. UNIT 1 OLD HALL INDUSTRIAL ESTATE. All used parts and accessories are not covered by a warranty but are sold in good working order (unless otherwise stated). 2x Dichtung. Seit 25 Jahren Ihr zuverlässiger Partner für hochqualitative Fahrzeugteile passend für die deutschen Premiummarken. Gehäuse, Ölfilter. Weitere Bilder VW PASSAT Variant (3C5) 2.0 FSI Kombi 08.05 - 11.10 147 200 1984. Originale 71740676. Tappo introduzione olio. Esperienza e professionalità al vostro servizio da oltre 50 anni. Genuine Abarth 500/500C Aluminium Filler Cap Set. Picture shown is for illustration purposes only . SEICENTO - UNO. TAPPO INGRESSO OLIO MOTORE FIAT PANDA FINO AL 2002 - PUNTO (188) -. 7545141 FIAT. AL FINE DI EVITARE PROBLEMI CON LA COMPATIBILITÀ' DEL PRODOTTO VI. Nei casi sopra indicati, provvederemo a restituire al mittente il bene acquistato. Dies ist ein kompletter Öldeckel, nicht nur eine Abdeckung ! MX-5 Antennenstab NB f. elektr. Antenne Mazda MX-5 NB 1998 - 2005 elektrisch. MX-5 Seitenblinker Leuchten Satz Blinker ND dunkel getönt Mazda MX-5 Typ ND. ESPACE IV (JK0/1_) 2.0 150cv. ESPACE IV (JK0/1_) 2.0 131cv. TRAFIC II AutobÃºs (JL) 2.0 90cv. TRAFIC II FurgÃ³n (FL) 2.0 90cv. TRAFIC II Caja/Chasis (EL) 2.0 90cv. LAGUNA II (BG0/1_) 2.0 150cv. LAGUNA II Grandtour (KG0/1_) 2.0 150cv. Vauxhall Polished Oil Cap Cover. All Vauxhall Petrol (2010 - Present). Vauxhall Astra H G GSI GTC Z20LET Polished Oil Cap Cover - TX Autosport. Vauxhall Logo. TX Autosport Logo. All Corsa D Engines. SKODA FABIA 2000 - 2013FELICIA 1995 - 2001OCTAVIA 1997 - 2013PICK UP 1996 - 2001ROOMSTER 2006 - 2013. AUDI A1 2011 - 2013100 1977 - 1992100 QUATTRO 1985 - 1992A2 2000 - 2005200 1980 - 1991. SUPERB 2002 - 2014. Part number; 152551P110. 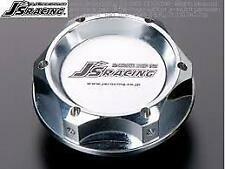 This is the screw type oil filler cap which fits on various Nissans. Also allows the ability to set the mounting orientation. Model = Mazda MX5 Mk1, Mk2, Mk2.5. Year = 1989 - 2005. Specialising in Austin-Healey, Classic Mini, Jaguar, Mazda MX-5, MG, Morris & Triumph. Part Number: 1180P2. Genuine Peugeot Engine Oil Filler Cap. VW Typ 3 Engine Oil Dip stick rubber boot Notchback Fastback squareback T3 all models 61-74 K Ghia T34311115329B. Para Motor de CC de VW golf 6 GTI R MK6 Scirocco EA888. 1 x tapa del aceite del motor. 1 x tapa del tanque del motor. Billet de aluminio recambio motor Bahía dressup cubre. Subaru Forester (since Type A Type SH). Subaru Impreza (from type A-type GH / GV / GR). Fit to most of SUBARU models with Screw-On type oil cap. Subaru Legacy (Type D or later type BL / BP, since the type A-type BM / BR, including Eye Sight). These will fit all MGF's and TF's. These are top quality triple plated original parts, these are NOT brushed aluminium or cheap chinese repros!! This has not been fitted since it was plated. WE HAVE THOUSANDS OF PARTS ON THE SHELF READY FOR DISPATCH. Rover 75 Tourer RJ Estate 2.0 V6 01-05. BMW 1 Series E87 Hatchback 118i 04-12. BMW 1 Series E87 Hatchback 118 D 03-12. BMW 3 Series E93 Convertible 330d 07-15. BMW X3 E83 SUV xDrive 30d 08-15. BMW 5 Series E61 Estate 520d 05-10. Gummischlauch für Kurbelgehäuseentlüftung. Schlauch, Kurbelgehäuseentlüftung. 1x KGE Schlauch. Material: Gummi. Seit 25 Jahren Ihr zuverlässiger Partner für hochqualitative Fahrzeugteile passend für die deutschen Premiummarken. ALFA 60511726. (1987-1992). Periodo di. SÄTZE MIT GLEICHEM PRODUKT. Material: Kunststoff. Wir beraten Sie gerne! Form: rund. Teil in OE-Qualität. WEITERE INFORMATIONEN Farbe: schwarz. REPLACED BY VOLVO 986817. VOLVO 960632. NEW OIL FILLER NECK MGF TF.